Do you need to print large format graphics to get your message across? We can help! With our cutting-edge wide format printers, you can create vibrant, attention-getting posters, large-scale banners, signage, and other oversized projects without ever leaving your premises. Taking advantage of in-house printing capabilities can increase your efficiency. You get instant feedback on your project and fine tune it on the spot, saving time and trips to the copy shop. 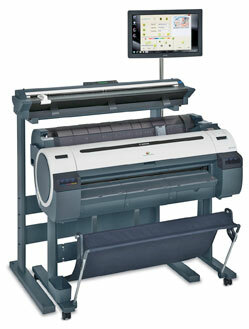 Save money and increase productivity by integrating a large format printer with your current equipment. Designed for technical documents applications and general office printing, the Canon iPF755/750 and iPF655/650 printers enable users to produce a diverse range of output. Whether the job is a complex technical document or a spectacular, full-color poster, you can get it done faster and easier than ever before. These printers work harder, so you can work smarter. Choose a compact 24” 655/650 or a versatile 36” 755/750 printer. Canon’s single-solution, large-format printing systems developed specifically to meet the demands of manufacturing, engineering, construction and reprographic firms for seamless, uninterrupted production of razor-sharp monochrome plots and high-quality color prints. The Canon iPF820/810 offer large-format printing on media up to 44” wide and include CAD|STATION PS+, a True Adobe PostScript Color RIP that features print management and job accounting functionality. Designed for AEC, CAD, and GIS technical documents and general use, the 36” and 44” imagePROGRAF MFP large-format imaging systems help unlock the full potential of your productivity. This complete workflow solution provides a fast and effective system for copying, archiving, and distributing maps, drawings, renderings, site and facilities management plans, design and layout proofs, technical documents, and more. Need large format architectural or engineering applications? Our printers yield meticulous detailing and accurate images for blueprints, blacklines, and schematic renderings. Graphics professionals appreciate the vivid and consistent colors and high-impact results our large format printers give them. 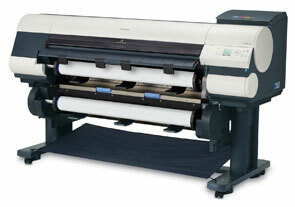 County Blue is an authorized dealer for Canon, Hewlett Packard, Seiko and the RSA Replicator wide format equipment. Having access to multiple manufacturers allows us to match and place the best equipment to fulfill each customer’s specialized needs. 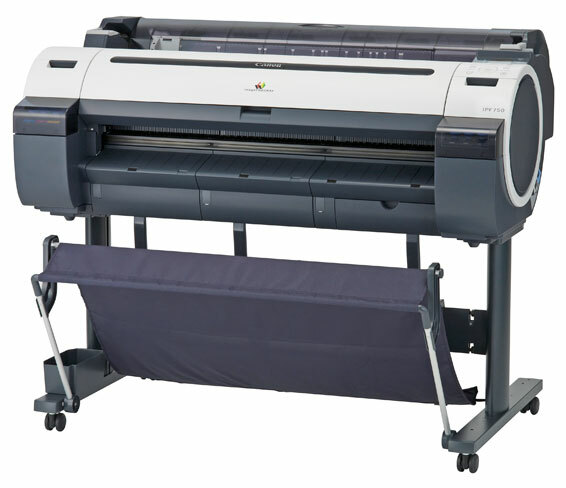 If you would like to add the newest large format printing equipment to your office environment but would prefer not to purchase it, we offer many options. You can choose among very affordable lease rates as well as cost per copy plans that combine service, ink/toner, and media/paper. Our staff of technicians will provide service and support. Contact us today about one of our exciting wide format printer brands. To speak with a knowledgeable salesperson call (314) 961-3800 x126. Our large format printers allow you to create just about anything you can dream up. Marketing materials, point-of-purchase displays, presentation graphics, images for indoor and outdoor use—the possibilities are virtually endless. You’ll achieve truly memorable results when you utilize the advanced technology found in our wide format printers. Whether your top priority is exceptional print speed, ease of operation, or fine image quality, we will find the right printer for you.